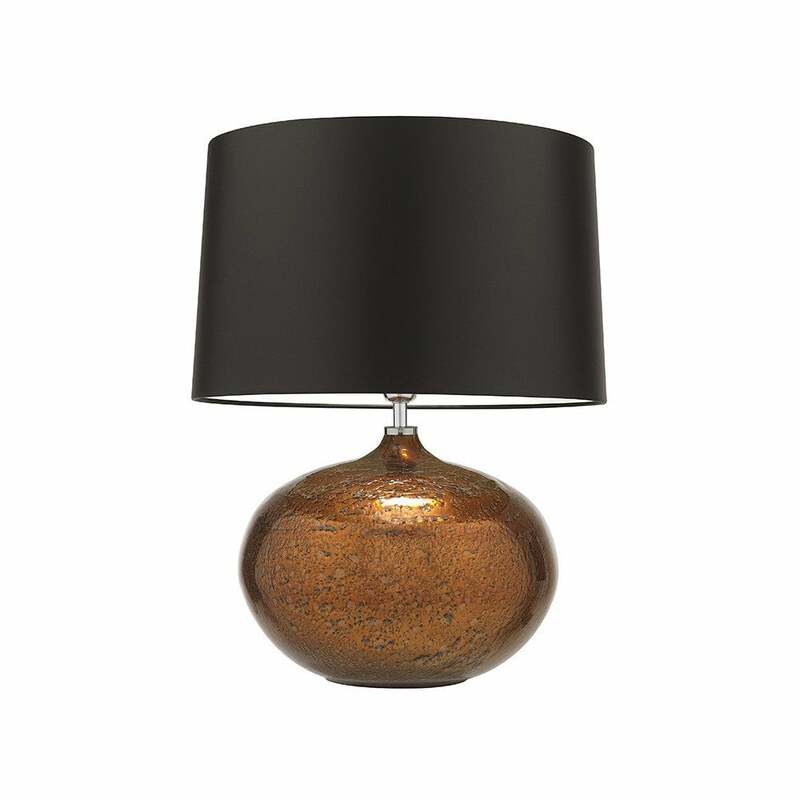 The Galileo Table Lamp by Heathfield & Co features a mould-blown design with metal frit detailing. Available in three on-trend colourways, each lamp is entirely unique. Hand-crafted to the highest quality, this striking, spherical design complements a modern interior scheme. The classic shape and metallic hues will make a beautiful addition to a bedside table. Shown here with a mocha satin shade, get in touch for more luxurious fabric and colour options. Priced for 18" Roman Drum shade in silk with white PVC lining. Please contact us for other options.